H x W: 56 in. / 36 in. 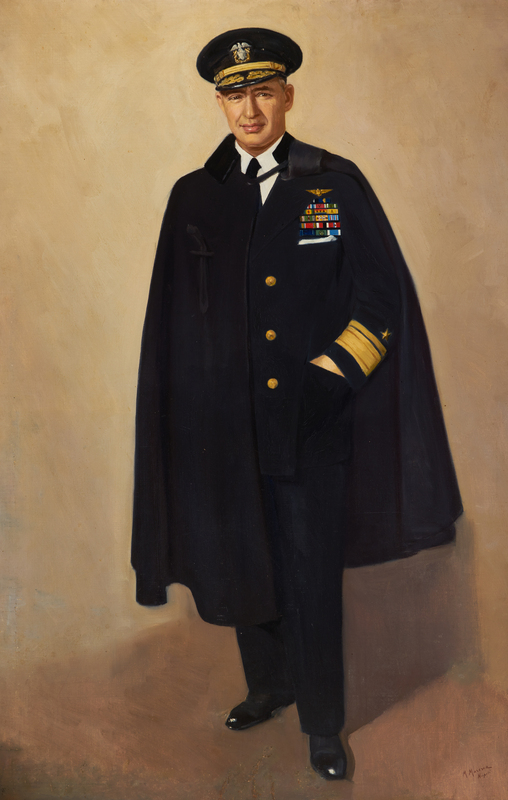 Admiral Clark was the first Native American to graduate from the United States Naval Academy. He remains the only Native American to achieve four-star rank. His first assignments were aboard destroyers during World War I; he transitioned to naval aviation soon after. He commanded carriers USS Suwannee (ACV-27) and USS Yorktown (CV-10). Clark was an aggressive commander, serving in the Fast Carrier Task Force. He captained the USS Yorktown during the Marianas Campaign and the Battle of the Philippine Sea. “Watch every angle and fight for every inch."